At 69, deputy village chief and Water Management Committee (WMC) chairman U San Yee is remarkably agile and energetic for someone his age. 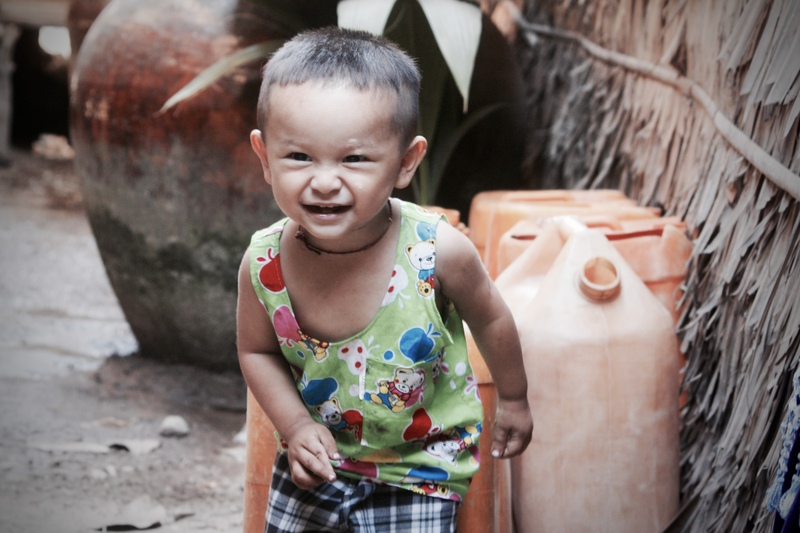 Dressed in a traditional Burmese longyi, he cheerfully led the way from the wooden jetty to the village, unbothered by the blazing sun and blistering heat. Beneath our feet, the soil was parched and cracked, and I could feel the heat radiating through the soles of my sandals. Like many other villages in the south of the Ayeyarwaddy region, Bothingone village experiences an annual dry season of sparse rainfall that lasts for about 5 months. During this time, the only rudimentary rainwater harvesting pond in the village often dries up, leaving villagers with just a handful of hand-dug tube wells and pumps to obtain clean water for consumption. 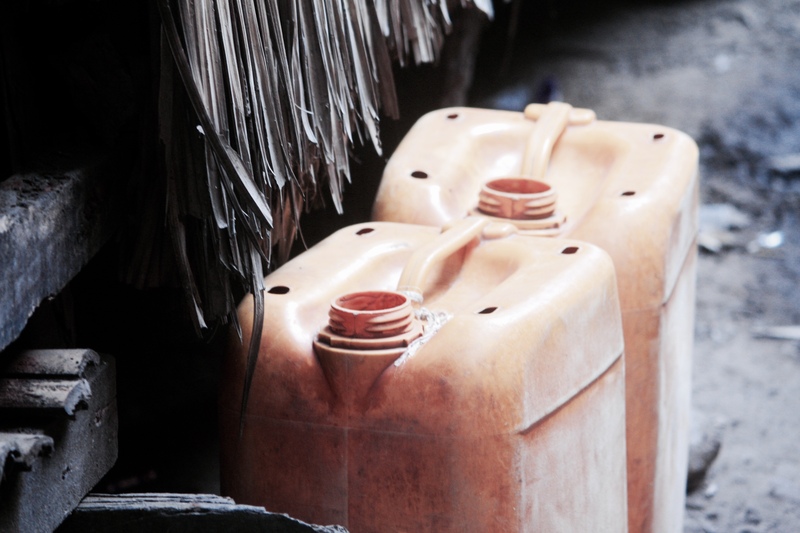 Sometimes, they have to travel to neighbouring village of Sarchet to collect water with jerry cans. 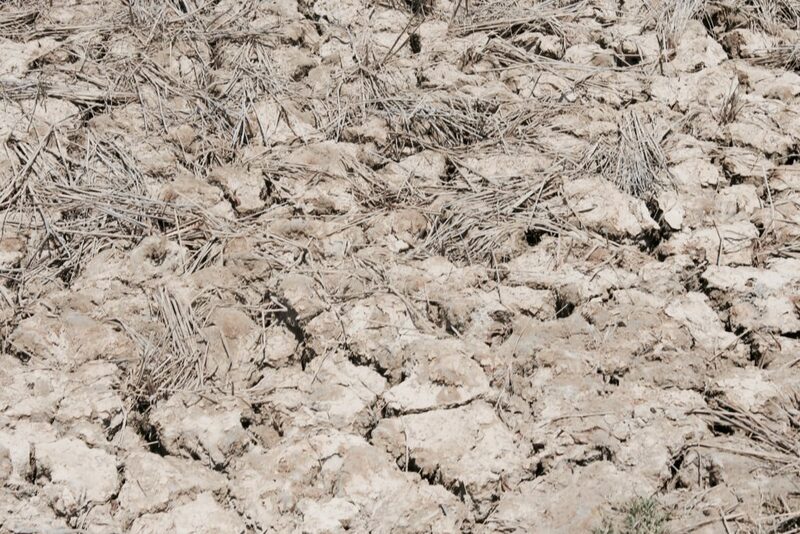 It is common for villagers to ration water use during the dry summer months. 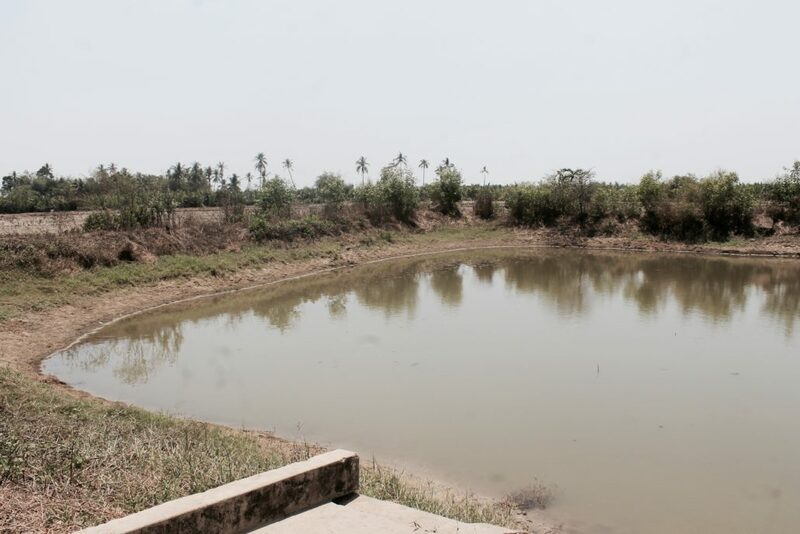 The existing pond in Bothingone village, which is the villagers’ main source of clean water. During the dry summer months, this pond sometimes dries up. One of U San Yee’s grandchildren playing near the jerry cans. As the chairman of the Water Management Committee, U San Yee was determined to tackle the water challenges and improve the villagers’ access to clean water. 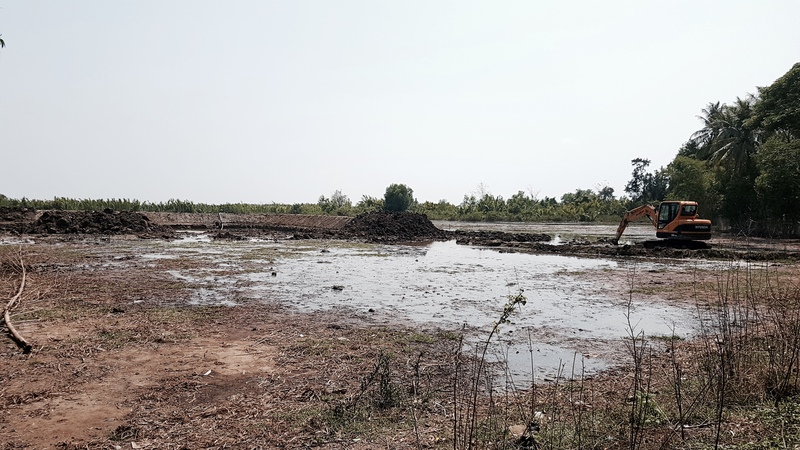 Under his leadership, the village made a unified decision to increase the catchment capacity of the existing pond to help tide them through the dry summer months. Besides being a village leader and water champion, it turns out that U San Yee is also an aspiring writer and poet. 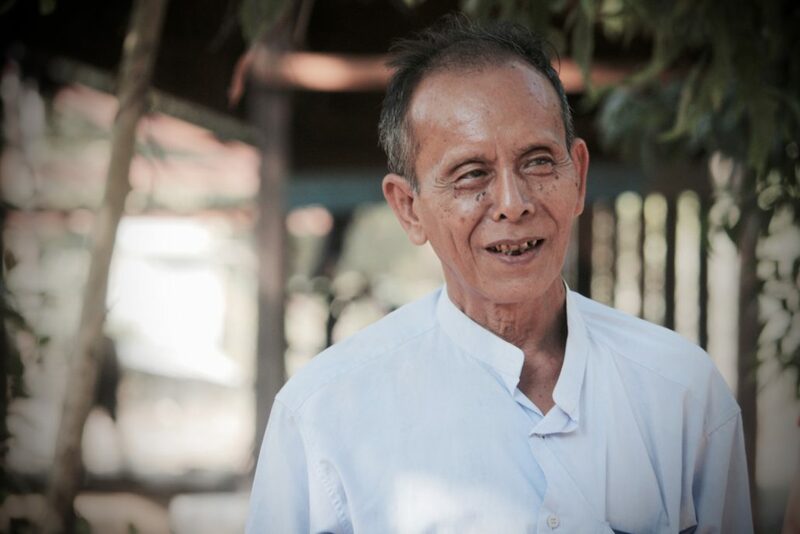 Having experienced and survived the devastation of Cyclone Nargis, he decided to use poetry as a means to educate fellow villagers about the importance of protecting water resources and to encourage them to respect nature. As we sat down inside his home, he took out a notebook, and proudly showed us the poem he had penned. U San Yee’s poem in Burmese. followed by various natural disasters. Do not regret only when you suffer such disasters. will lead to peaceful deliverance of such disasters. A united effort would breed resilience and sustainability. to create a beautiful environment. by handing down these good practices to our children. climate changes due to the unbalanced ecosystem. 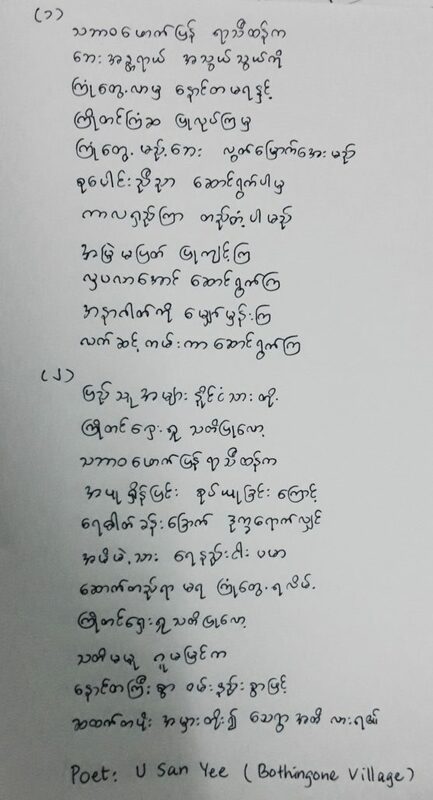 *This is an unofficial translation and provided for reference only. U San Yee’s support and influence proved to be paramount to the successful implementation of the clean water project in Bothingone village. Earlier this year, rehabilitation works to expand the capacity of the existing village pond began. When completed, this project is expected to enable over 1,000 villagers from 220 households to gain better access to clean water. Construction to expand the capacity of the existing water catchment pond began earlier this year. U San Yee with a few of his grandchildren and great grandchildren. Some of U San Yee’s grandchildren and great grandchildren. 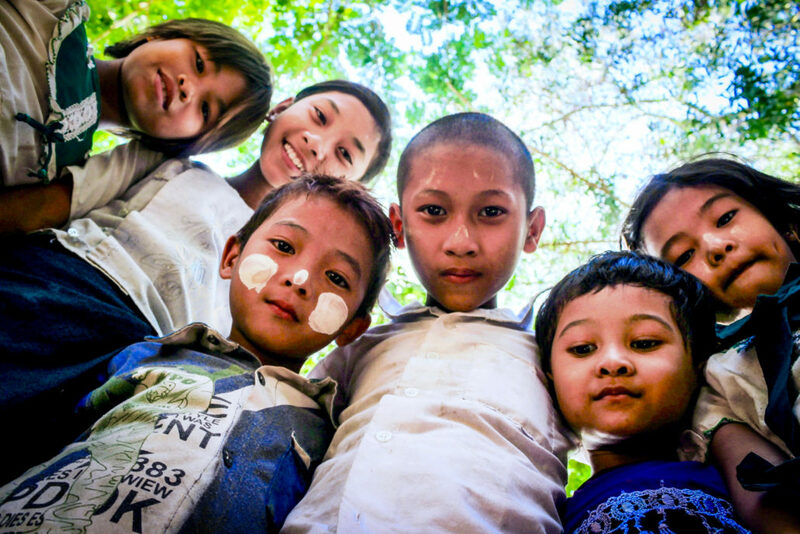 This project in Bothingone village, Labutta township, Myanmar is implemented as one of Lien AID’s pilot clean water projects in the Ayeyarwaddy region.